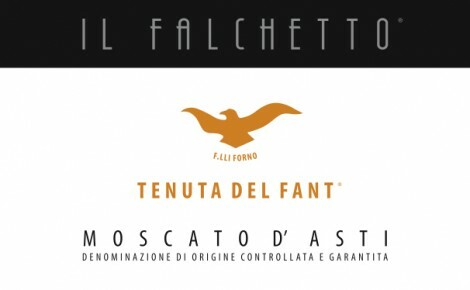 Moscato d’Asti ‘Tenuta del Fant’ is a pure expression of this varietal. Persistent and typical it expresses aromatic scents of grape and citrus fruits with delicate sage notes. On the palate it is sweet and soft, with a light effervescence which exalts its freshness. It should be served chilled with desserts, especially hazelnut cakes, chocolate cookies, apple crumble or simply with fruit salad. Excellent also when used as a base for fruit cocktails. The grapes are selected in the vineyard first in June through a rigorous thinning and later by harvesting only the best grapes with optimal color and ripeness. Harvest is done by hand in wooden crates not exceeding 15 kilos in weight so as to maintain the bunches intact. Soft pressing within 3 hours from harvesting. Fermentation in temperature-controlled stainless steel vats (60-62F).